National Fatherhood Initiative® is the country’s most influential fatherhood organization. We’re in the fabric of social service and community-based organizations across the country to which fathers, mothers, and families turn for help. Because one in three children (24 million) in America will sleep tonight in a home without their father, seeking to end father absence is one of the most socially responsible acts to which a company or brand can commit. Through cause marketing and corporate sponsorship, we take your voice on the importance of involved fathers beyond commercials and ad campaigns to a place of societal impact that makes a tangible difference in the lives of children, parents, and communities. Through events, skill-building programs and products, and our digital and social media platforms, we channel your cause marketing and sponsorship efforts to improve the lives of families in every state and in the most diverse communities in the country. Helping fathers and families aligns with your customers. The vast majority of Millennials, 4 in 5, are more likely to do business with a company that supports a cause they care about. And they care about parenthood. More than half of them say that parenthood is one of the most important things in life. Marketing to dads helps combat of one of the most consequential social problems of recent decades—widespread father absence in the lives of children. 1 in 3 children (some 24 million) in America will sleep tonight in a home without their father, and 9 in 10 parents agree that there is a father absence crisis. Father absence has devastated communities across the country. Children who grow up without fathers are, on average, more likely to suffer from a range of poor outcomes, including: poverty, alcohol and drug abuse, teen pregnancy, poor school performance, behavioral problems, and suicide. Helping fathers is helping families and communities. When you help fathers be the best dads they can be, you respond to the belief among 75 percent of Millennials—the largest generation of consumers the U.S. has ever seen who represent most of today's new and young parents—that corporations should create economic value by addressing society's needs, and for their preference to do business with socially-responsible companies. The greatest challenge social service and other non-profit community organizations face is lack of funding to acquire resources and training for the families they serve. NFI itself is a non-profit organization and builds the capacity of these and other organizations across the nation, allowing you to make a major difference where it counts. Below are examples of brands that have shown fathers and families they care, and that it’s good business to partner with NFI. NFI is proud to be partnered with MacDaddys, a cookie company founded by Cory Brysman in honor of his dad. Corey’s dad started baking cookies in 1978 on a whim -- mainly because Corey’s mom had a sweet tooth and he felt he could make a tastier, healthier version of what she was buying at the store at the time. He quickly realized he was on to something special when other people tasted them and were pretty impressed! Upon launch of Macdaddys, Cory sought out a father-focused on-profit to partner with, and NFI was a great match! Use code "FATHERHOOD" at checkout for 20% OFF your order! 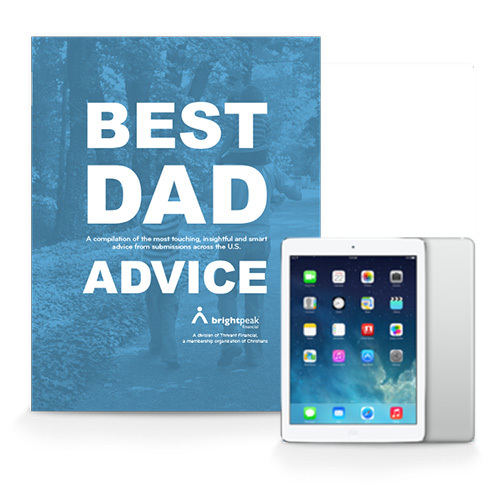 In 2014, National Fatherhood Initiative (NFI) and brightpeak financial® launched a web-based campaign which included a series of financial blog posts with each post containing helpful material related to dads and money management. The campaign was a multi-week campaign that included web, email, and social media marketing with custom content created by brightpeak financial® and published orginally by NFI. NFI marketed the original blog content in its email and social media channels. brightpeak financial® received follow-up emails and hundreds of downloads from NFI readers as a result of the campaign. brightpeak financial® gave feedback speaking of the partnership saying, “NFI was invested from the start and help customized our content to fit their audience. NFI was easy to work with, creative with our content…and we would partner with them again." NFI is proud to be partnered with fodada®, a socially responsible clothing line “for the best dada in the world”. fodada’s® goal is to provide quality fashions that dads can wear that recognize their important role as a father. fodada® uses the sales of their clothing line to fund no-cost programming important to dads and families. Recently, fodada® launched the "fodada Color Beneficiary Initiative" through which they give back to select non-profits from customer purchases of certain “color lines”. Further, fodada® created a brand-specific shirt for NFI in the color charcoal. As a part of the Color Beneficiary agreement, NFI receives a portion of the proceeds from the sales of any fodada item in the color Charcoal. NFI also promotes the clothing line and partnership to inspire dads to be involved, responsible, and committed. 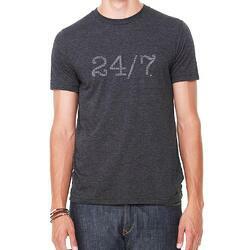 fodada® created a custom 24/7 Dad® t-shirt on behalf of NFI for purchase in their online store, fodadawear.com. 24/7 Dad® is NFI’s flagship fatherhood curriculum used by thousands of family service organizations across the nation, and the 24/7 Dad® t-shirt serves as a link to NFI’s most popular skill-building brand. Facilitators of the program, father participants, and even kids of dads can show their pride in being associated with the 24/7 Dad® program and more generally, being a 24/ Dad. NFI will receive a portion of the proceeds for shirts sold. National Fatherhood Initiative partnered with 20th Century Fox® and DreamWorks® to promote the father-friendly film, The Croods. NFI built a customized landing page on its website, promoted the film in its weekly email, and wrote about the film’s fatherhood themes on its blog, website, and social media channels. This custom content creation strategy was used to generate enthusiasm for the film as one that has something important (and entertaining) to say about fatherhood. 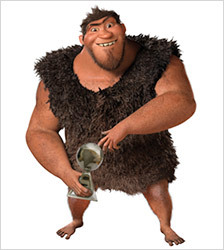 NFI’s social media and web-based outreach touches over 125,000 contacts per month, giving The Croods significant exposure during the weeks leading up to its release. To celebrate the positive portrayal of fatherhood by the main character, Grug, NFI releaesd an official press release announcing the Fatherhood Award presentation nationally and NFI presented the animated character with our Fatherhood Award™ at a pre-screening of the film in New York City, in partnership with The Moms. NFI presented the award to the director of the film (as Grug could not be there in person). The event received significant social media exposure and photos were serviced to the media. and a bundle of Dove® Men+Care products. The partnership was officially announced at the 2013 Dad 2.0 Summit in front of an audience of the country’s most prominent bloggers and brands seeking to reach fathers. All fathers in attendance at the Summit were given complimentary Dad Club™ memberships, and encouraged to use the hashtag #DadsClub on Twitter throughout the Summit and beyond. receive a members-only, monthly e-newsletter with fatherhood advice, member spotlights, and promotions from Dove® Men+Care. 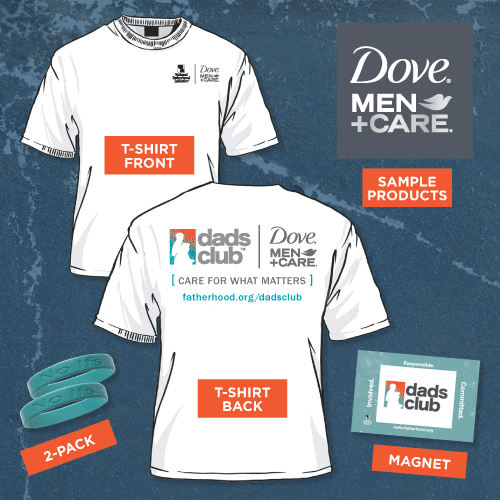 Over the course of a year, NFI and Dove® engaged celebrities, athletes, and other VIPs by sending them complimentary Dads Club™ memberships and encouraging them to use their influence to inspire others to get involved. 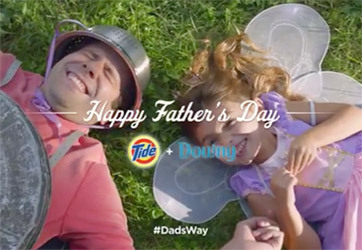 For Father’s Day 2013, Tide® and Downy® launched a Twitter-based campaign in which every use of the hashtag #DadsWay resulted in a $1 donation to National Fatherhood Initiative. The hashtag itself was intended to reflect that dads do things differently – and that’s ok! The campaign was anchored by a national television spot featuring the #DadsWay hashtag in the commercial’s end frame, and a voice-over stating that proceeds would benefit National Fatherhood Initiative. In addition, Tide®/Downy® recruited dad bloggers to use their social media influence to promote the campaign across blog and social media platforms. Each of the daddy bloggers wrote personal blog posts reflecting on what #DadsWay means to them, and then shared those thoughts and others on Twitter to generate impressions for Tide® and Downy® via the hashtag. NFI promoted the use of the #DadsWay hashtag throughout the duration of the campaign to raise awareness of the importance of involved, responsible, and committed fatherhood and as a simple way to support NFI’s work. NFI also posted two personal blogs about NFI dads’ fatherhood experiences, and a third promoting a #DadsWay Twitter party. 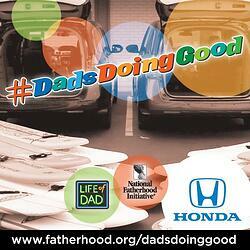 In 2014, NFI and Honda® launched a YouTube, web, and social media campaign called Dads Doing Good, which included a series of videos featuring the Honda® Odyssey as dads conducted child-centered community service projects across the greater Los Angeles area. The campaign was a multi-week series that included video, web, email, and social media marketing with custom video content created by Life of Dad. Mobile Library > Featured the Honda® Odyssey as a mobile library. Dads loaded up the Odyssey with hundreds of books and surprised preschool children in their school’s playground. After reading stories to the kids, hundreds of books were donated to a local Los Angeles school. Lemonade for Charity > Dads helped educate and serve a much-needed cause in your community by creating a lemonade stand where proceeds from the lemonade went to raise awareness for congenital heart defects. Little League Surprise > Dads use the 2014 Honda® Odyssey to remake a little league field by replacing the pitcher's mound, backstop, & batter's box with help from a contractor, coaches, & players. Surfing Sensation > Dads brought the Odyssey to the beach, where they help a volunteer group teach kids with cystic fibrosis how to surf. Dads helped one child take her first wave EVER! The New Drive-In Theater > Dads arrived at a film school and with help from two Odysseys, hosted an extraordinary movie screening to unveil the student films with popcorn, soda and the red-carpet treatment. National Fatherhood Initiative partnered with Fedex® to promote responsible fatherhood. NFI asked “What do FedEx® and good fathers have in common?” They are reliable, trustworthy, available, and right on time for the most special of delivery of all! NFI and Fedex® built the special “Daddy Pack” that included several of NFI’s top products and resources and Fedex® promotional materials. This special partnership was promoted across all website, email, blog, and social media channels. This custom content creation strategy was used to inspire and engage dad with skill-building tools to help dad and family during the most exciting, scary and often stressful time of life—birth of a new baby. NFI’s promotion and distribution channels provided significant exposure for Fedex through the distribution of thousands of Daddy Packs in hospitals, birthing centers as well as through national, regional, and community-based partners. NFI and Nissan® partnered on the Innovation for Fatherhood campaign, providing fathers with practical tips and resources to help them get the most out of the family car. Through this cause marketing campaign, Nissan® demonstrated that it was the car brand that cared most about dads. Jon Brancheau, Vice President of Nissan® Marketing, remarked about the partnership with NFI, "Nissan® recognizes the important role fathers play in the lives of their families…Being a parent is the most challenging and yet rewarding job on the planet. At Nissan®, our job is to support dads by designing and building vehicles that help meet their families' transportation needs in the most safe, efficient and stylish way." Through a series of blog posts, the campaign focused on topics such as: guidelines for choosing the right car for the family, practical tips on maintenance and safety, and advice on making the most of family bonding time in the car. NFI created tremendous exposure for Nissan, bringing the Nissan® brand to its’ own audience of fathers and families though multi-level media channels, including social media, web, email, and other content.